Although there are plenty of sayings out there that hold truth, one that resonates strongly with me is Seeing is Believing. It's not that I necessarily won't believe that things are okay if I can't see so for myself, but let's just say that I'm a bit of a worrier. And a skeptic. And a pessimist (although I prefer to say realist instead). Do I need to stop watching the news and fretting that the bad things happening across the country (and all over the world) will occur to my family? Definitely. But, at the same time, I can also relieve my uneasiness as much as possible by proving to myself that all is fine and well anytime and anywhere thanks to the WatchBot. 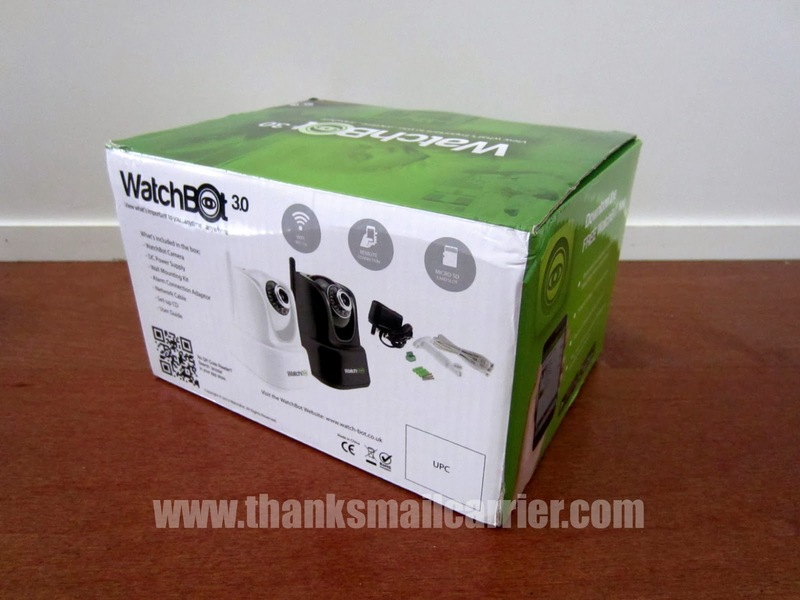 Combining convenience, security and piece of mind into one innovative, affordable product, the WatchBot is a CCTV unit for the home or office that is easy enough for anyone to use yet provides the quality of a much more expensive item. 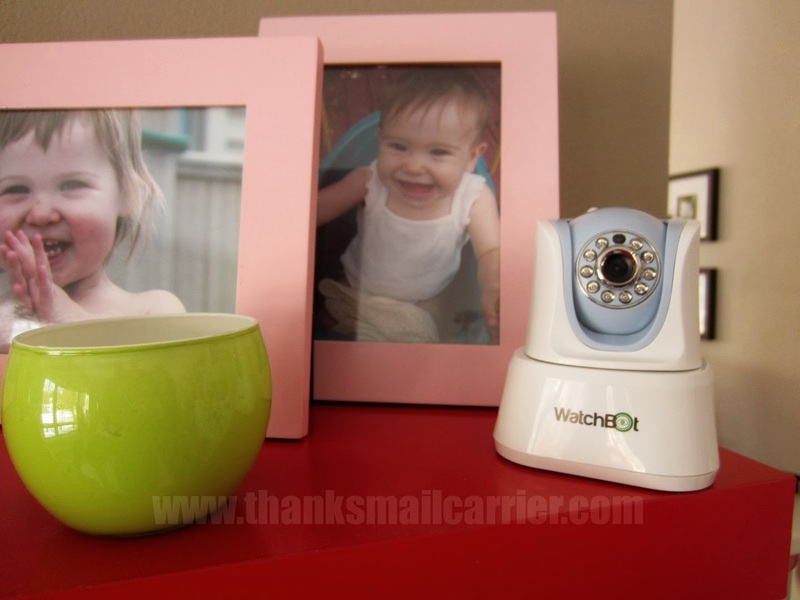 No matter if you purchase it to watch your sleeping child, keep an eye on the dog while at work or simply feel reassured when your family goes out of town, this wireless home security camera will enable you to keep an eye on what's important. 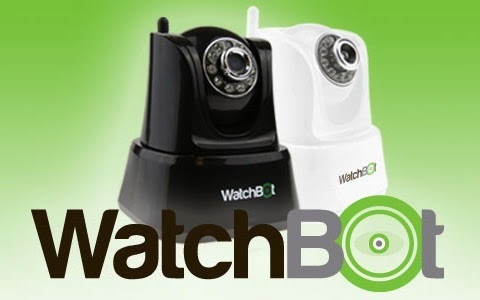 After seeing just how ideal the WatchBot is for indoor use and how the live video can be viewed straight from a web-enabled desktop PC, Mac, laptop or mobile device, I was ready to try it in my home as well. Arriving after a long trip from the UK, I unpacked the WatchBot box and found a power adapter, wall mounting kit, Ethernet cable, user guide, software and the camera itself. Using the simple instructions in the user manual, it wasn't long before I had plugged in the WatchBot camera and connected it to my router with the supplied Ethernet cable (it can also operate wirelessly). Heading back to my computer, it was only another few minutes before I had downloaded the WatchBot desktop software and was ready to control my camera. Using the individual username, password and camera ID (conveniently located on the camera itself), I was soon able to see right into the girls' play room without any problem. But more than simply a camera that is placed (or mounted) in one spot and the view is the same over and over, I love that the WatchBot features pan and tilt functionality. Simply by using the controls on your PC or your mobile device, you're able to to remotely direct and control the camera's viewing angle for a better look. ...it didn't take too long before I realized the ability to focus was done simply by turning the dial on the front of the camera itself. Soon I was able to see, hear and speak as clearly with my kids as if I was in the room with them! With one click in the Preferences tab, I was also able to change my view to the single camera (as opposed to having the screen set for four) or change to a complete fullscreen mode. But this is one gadget that can do much more. 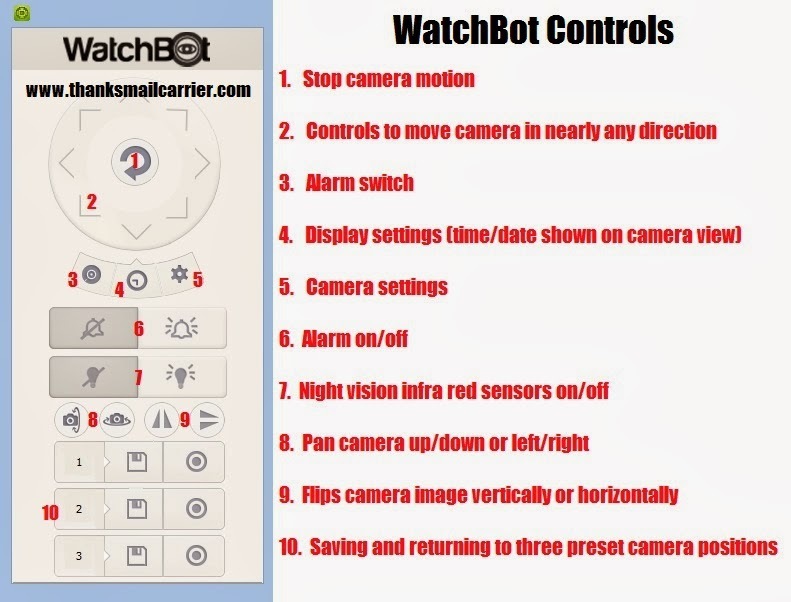 As well as moving and controlling the angle of the camera, the WatchBot also includes a slew of other great features that can be controlled from the user-friendly interface. My kids think it is magic when they see the camera move all by itself as I pan around the room or talk directly through it! The two-way audio gives you the option to listen in, and communicate with, whoever is on the other side of the camera, the built-in infra red sensors provide clear night vision, and the motion sensor can be set to send an alarm to your mobile phone (including screen shots) notifying you that motion has been detected. 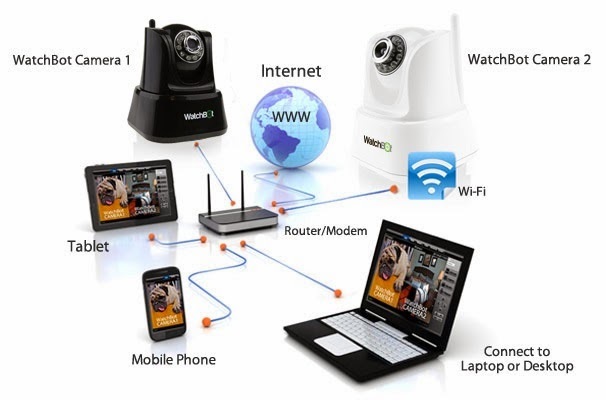 Whether you are using your WatchBot on your PC to see your children playing in another room or are pulling out your cell phone to take a quick peek at Fido on your phone while you are out to eat, the ability to watch (and record) live footage can provide a feeling of security that is unlike any other! To find out much more about the WatchBot and how it compares to (and excels over) other CCTV cameras, visit WatchBotCamera.com. Currently, a single camera retails for $237.95 while other deals are also available that include two, four or even nine cameras included. This just might be the security you are looking for for your home or business! Other than the WatchBot camera I was provided in order to facilitate my review, I was not compensated or enticed to do this post in any way. This review is solely my honest opinion of this product. This looks like a great product. We have a criminal in the neighborhood, she's been arrested for stealing several times, I think it's a good idea for EVERYONE to have one of these. I like that you can see what the camera sees from anywhere, on any device. It's also great that you cann remotely control and speak through the camera. This would be great for my brother, who has a rambunctious 2&1/2 year old, and is living in a 2 story house.